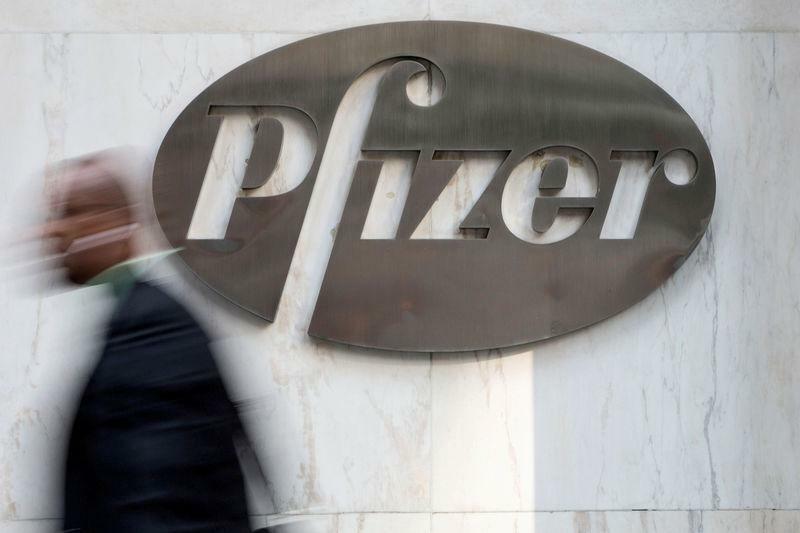 NEW YORK (Reuters) - U.S. drugmaker Pfizer Inc (PFE.N) plans to reduce its global headcount by around 2 percent through voluntary retirements and layoffs this year and early next year, as it looks to streamline its corporate structure and eliminate some managerial roles and responsibilities. Pfizer has around 90,000 employees worldwide. Pfizer spokeswoman Sally Beatty said the job cuts were "about creating a simpler, more efficient structure and not achieving cost savings." The job cuts were originally reported by CNBC. The move follows the announcement earlier this month that Chief Operating Officer Albert Bourla would succeed Ian Read as chief executive in January. The company also added new responsibilities for many of its top managers and hired a new chief digital officer. Shares of Pfizer were up 1.8 percent at $44.70 in early afternoon trading on the New York Stock Exchange. Its shares are up around 20 percent this year, outperforming the Standard & Poors 500 index, which is up about 4 percent over the same period.